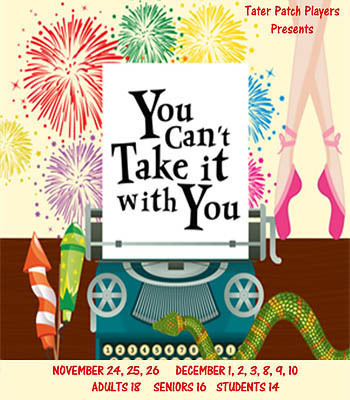 Tater Patch Players 'You Can't Take It With You' is now open with shows the next two weekends. Photo were taken during a rehearsal earlier in November. The Sycamore family lives in a large New York brownstone in 1936. They aren't rich, their home isn't grand and few of them have "real" jobs, but they happily go about their lives doing the things they love. 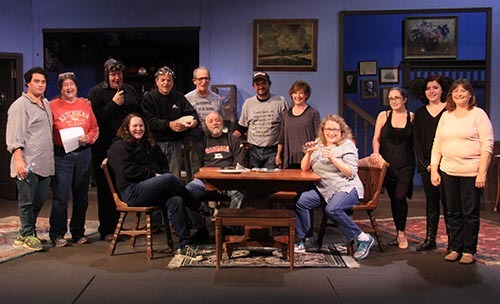 The play will be presented on November 24, 25, 26 and December 1, 2, 3, 8, 9, 10. The Sunday shows are at 2 PM and the others at 7:30 PM. Advance tickets can be purchased online at www.taterpatchplayers.org or through Facebook, for $14 for students, $16 for seniors, and $18 for adults.